Bite-sized donut holes are the ultimate in breakfast-to-go items and Prairie City Bakery brings you the best in breakfast and to-go items! Our Donut Cups give the grab-n-go customer a fun, easy way to enjoy them. 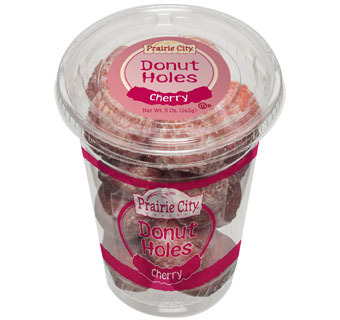 Our Cherry Donut Holes are sure to satisfy even the biggest cherry enthusiast.